We are pleased to announce the first quarter honor roll, which includes 61% of our students! 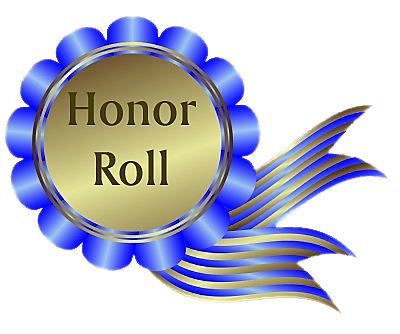 To earn high honor roll recognition, students must earn a 4.0 to 3.8 GPA; to earn honor roll recognition, students must earn a 3.79 to 3.5 GPA. Please join us in congratulating these students and their families on their academic achievements.